Nineteen years ago today my Dad passed away in his sleep. We had a very interesting relationship, but near his end years we had kind of come to terms with each other. I understood him a bit more and I think he began to understand me. He even told me that it was his girls' that had helped him in the end. Now this was no small comment from a guy like him. That same day my niece turned 4. So as sad as I was in the morning I had to put on a happy face for her party that evening. Today I sent my niece a Happy 23rd Birthday text (as we now live 2500 miles apart)… (Well I was not able to do that 19 years ago). I took the kids to school and then my husband drove me to my wonderful Breast Surgeon for my yearly breast MRI. Last year I had a reaction to the contrast dye so this year I took some Benadryl before. Other than insurance issues (don’t get me started on that topic) the MRI went on without a hitch. 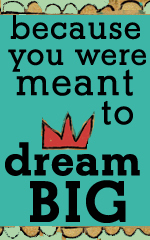 I am supposed to wait up to 72 hours for the results… the hardest part of the whole thing. On the way out I saw my doctor and she tried to go and read the results so I would not have to wait, but the machine was not done processing everything yet. I am not expecting any bad results, but you kind of hold your breath until you actually hear the news. During my test I received a voicemail… when I checked it; it was my son’s school AGAIN. The nurse’s office. He spends a lot of time in the nurse’s office. They know him and they work with him, unlike his teacher that should not be a teacher. (I won’t get started on that topic either). Apparently a bug, no a bee stung him in his eye. He packed up all of his stuff and told them to call my cell, that he was in pain and had to go home! They are so good in the nurse’s office. They gave him some ice, and tried to calm him down and sent him back to class. My guess is Math was coming after recess and he hates Math!!! We chuckled a bit about the bug… no the bee and how he came in all packed up and ready to go. I said we have to give him an A for creativity in the excuse department! When I came home I tried to rest for a bit in the sun… yes it is really nice and warm today and finally feels like California again, but the Dog was ready to go back inside so no rest for me. So I came over to my studio and my computer to get some work done. 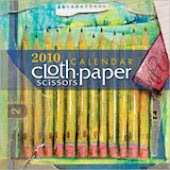 I just received some good news… two pieces of my work have been selected by Cloth, Paper, Scissors as finalists in their Second Annual 2011 Calendar Contest. 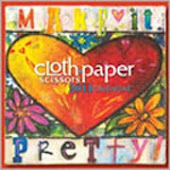 This year’s theme is “Make it Pretty!” The winners will be announced in May! I cannot show you the two pieces that I submitted, but I will show you my piece from the 2010 calendar again!! So while I enjoy this moment, I wait for the call from Dr. Police. I hope she does not get too busy and forget to review my MRI. Good results from Dr. Police would just be the best news….